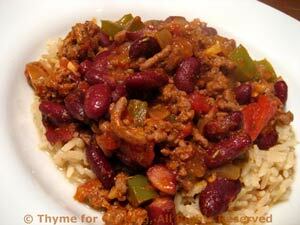 Cuban Beef and Black Beans, from Thyme for Cooking's Weekly Menu Planner. I used red beans... Because I can't find black beans. When we lived in the US, I always used black. As usual, make this as hot as you like, add hot sauce to taste.